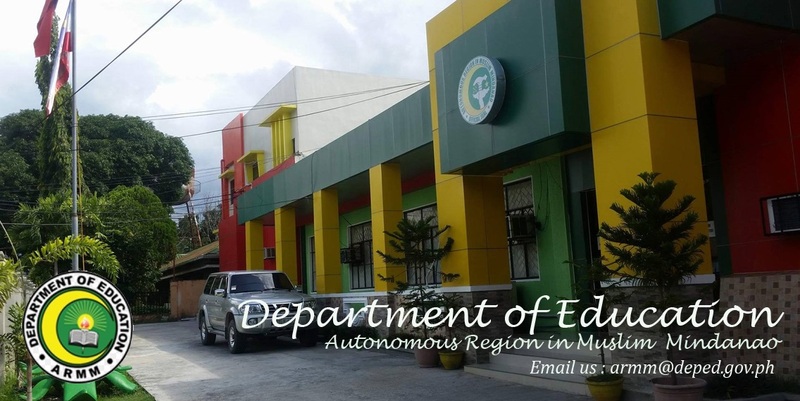 So deep-rooted and complex are the anomalies in the Department of Education in the Autonomous Region in Muslim Mindanao that the new administration is certain the problems cannot be fixed in the next five month. The region’s officer-in-charge, Mujiv Hataman, said the most serious of the irregularities they discovered in the DepEd-ARMM were about a thousand ghost teachers, non-existent schools and the overly bloated number of enrolments to increase the operations budget of enrolling institutions. Hataman said usurers, or “loan sharks,” engaged in a money lending scheme forbidden in Islam, also made the lives of teachers, who have perennially been complaining of delayed payment of their salaries, so miserable that their efficiency has been badly affected. Hataman, in a public forum in Cotabato City Tuesday, organized by the Notre Dame University (NDU) and the foreign-assisted Institute for Autonomy and Governance (IAG), said among the anomalies he discovered were the “unbelievable” high population of grade school pupils and high school students in Tawi-Tawi than those listed in the much bigger provinces of Maguindanao and Lanao del Sur. Tawi-Tawi only has more than a dozen small island towns, while Maguindanao and Lanao del Sur covers 36 and 43 municipalities, respectively. The president of the NDU in Cotabato City, Fr. Eduardo Tanudtanud, and the director of the IAG, Oblate missionary Eliseo Mercado, Jr. found Hataman’s revelations so frustrating. “These are the reasons why quality of education in the autonomous region has been so low over the years. People in the region should pool their strengths together to help address these problems,” said Tanudtanud who also belong the Oblates of Mary Immaculate congregation, which has more than a dozen schools in mainland Mindanao, Sulu and in Tawi-Tawi. 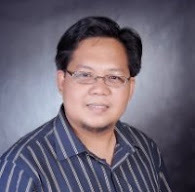 Mercado, whose peace-building projects in the South are funded by the Konrad Adenauer Stiftung of Germany, said a special task force comprised of volunteers from private schools, the Islamic and Christian communities, political groups, and representatives from the ARMM and Malacañang has to be organized to help fix the regional education department. Hataman told participants to the forum, held at NDU’s 300-seater mini-theater, that he was forced to suspend the implementation of a previous P1 billion school building project for remote towns pending a prior evaluation by representatives from the Department of Public Works and Highways and the Commission on Audit. “The implementation was suspended, meantime, because there are ghost teachers, ghost pupils and ghost schools in the autonomous region. We have to wipe them out first before we can fix everything in the almost dysfunctional DepEd-ARMM,” said Hataman, who assumed as OIC-governor only last December 22. Hataman said they also found out that there are children of education officials in the province who are employed as teachers, but are at the same working abroad as tutors of children of wealthy foreign families. Participants to the forum, among them representatives of the Japan International Cooperation Agency and vasrious non-government organizations involved in foreign-funded peace-building projects in Moro communities, gave Hataman a rousing applause when he announced that his administration will now release teachers’ salaries through the banks, direct to their respective accounts. “This will stop irregularities. No ghost teacher can ever have an automated teller machine card. There will be no more delays in the payment of their salaries and fringe benefits,” Hataman said. Hataman said graft and corruption in the regional bureaucracy worsened over the years because past presidents “allowed” them to happen. “Imagine? We even have to tap now the intelligence units of the Armed Forces and the Philippine National Police to help us validate the identities and existence of ghost teachers, ghost schools and pupils. It’s really that bad,” Hataman said. Mercado, whose outfit is soon to be assisted by the European Union, said they are just as ready to help “capacitate” division superintendents and their subordinates that are directly involved in managing the schools divisions in the ARMM. By “capacitate,” Mercado meant interventions, such as orientations and open discussions, on management skills and competencies, to be initiated with the help of experts, such as academicians, that are actively helping the IAG’s peace-building projects in the South. The IAG, meanwhile, inaugurated its new office after Tuesday’s public forum at NDU. The IAG now occupies the entire second floor of the Umex Building at the NDU campus, along the Notre Dame Avenue in Cotabato City.